Unless you’re an Anglophile who’s really into hair, you may not have heard of Sam McKnight despite the fact that he has four decades of experience working with scores of models, celebrities, fashion designers and magazines. He’s the man behind Princess Diana’s iconic short, slicked-back ‘do and he’s been responsible for Kate Moss’ cool-girl coif for years. There’s no question he’s amongst the most respected stylists in the world, which is why we have to ask what took him so long to launch his own line of products? Fortunately, the wait is over, and Hair by Sam McKnight is taking the U.S. by storm. Now you can get Moss’ aforementioned supermodel-worthy look effortless with the Cool Girl Barely There Texture Mist, or a messy bun that stays put with the Easy-Up Do Texture Spray. 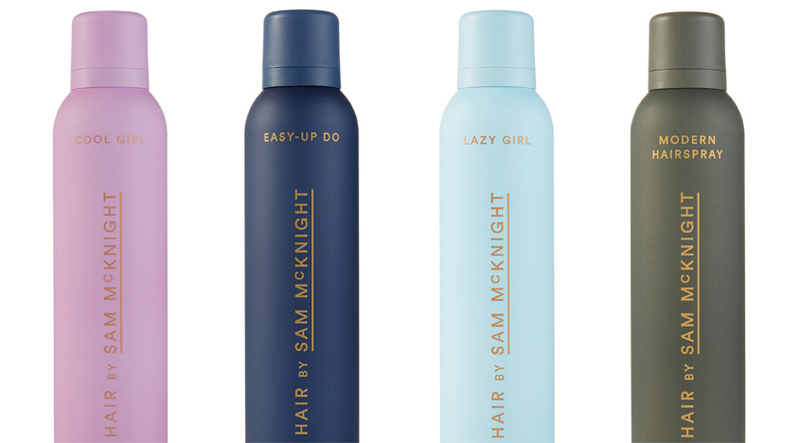 If dry shampoo is your jam, look no further than Lazy Girl, and if you need help holding it all together, Modern Hairspray Multi-Task Styling Mist has your back. We can all use a little style refresh from time to time, right? With these innovative formulas, your next good hair day is in the can.